You may collect your voucher at the studio. But we are also happy to post them or send them via email if required. Our prices and treatments suit everyone. In the case of payment of services of a lesser value, change cannot be given. 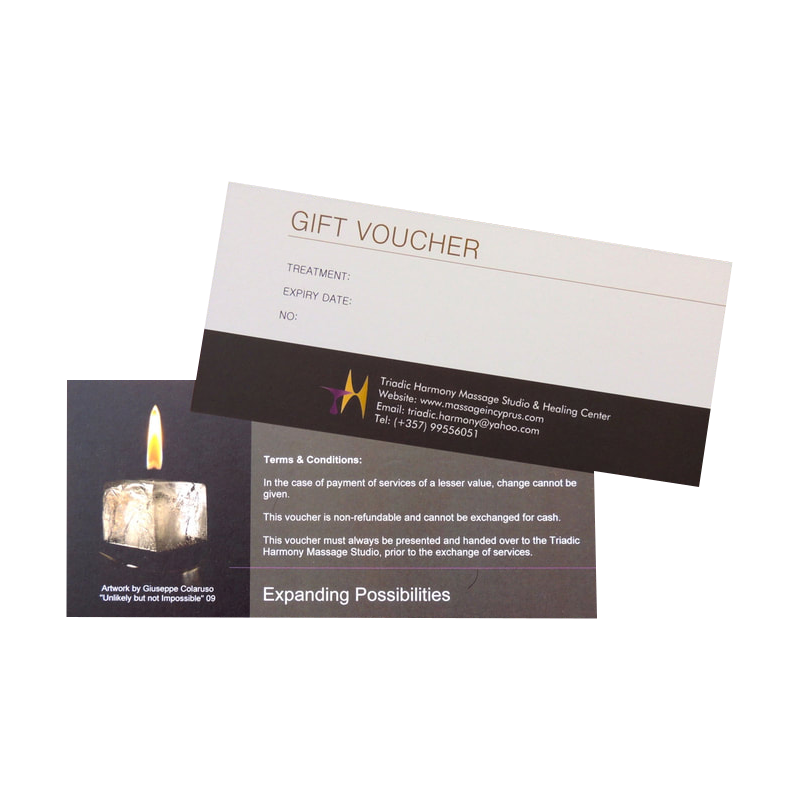 The voucher must always be presented and handed over to the Triadic Harmony Massage Studio, prior to the exchange of services.